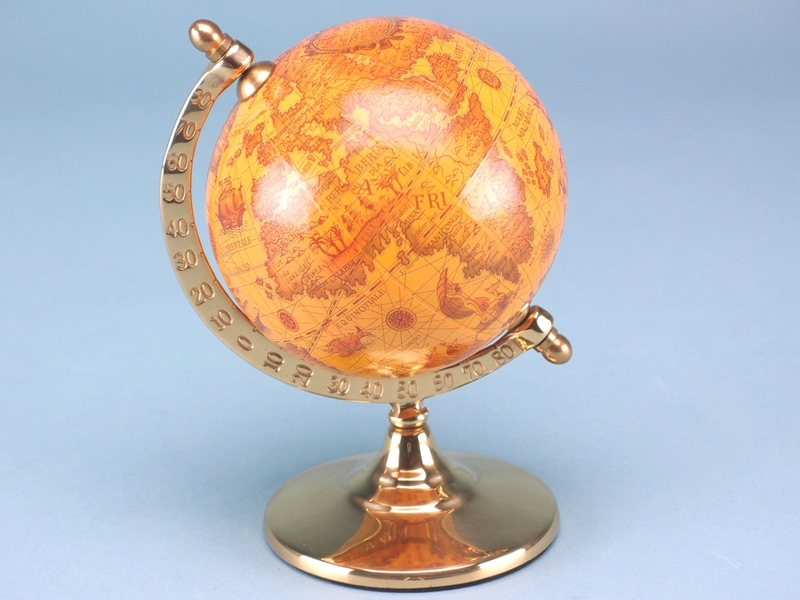 An antique-looking globe supported on a brass stand and cradle. The elegance of this item will lend itself well to an office or study, and would look great atop a solid wood desk or cabinet. If your customers are looking to stock something that is unique than the Globe on Pedestal certainly fits that bill. A brass stand and cradle support the globe which sits at a slight tilt replicating the way in which the Earth rests on its axis. 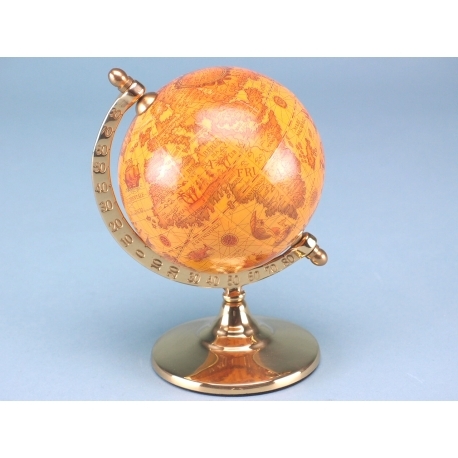 The globe itself adopts a more classic shade of yellow indicative of earlier globe designs giving this item a more historic appearance. The map detail is exquisite and features various nautical symbols widely used on maps over the centuries. Each globe features a cartouche along with numbers on the cradle that represent degrees.